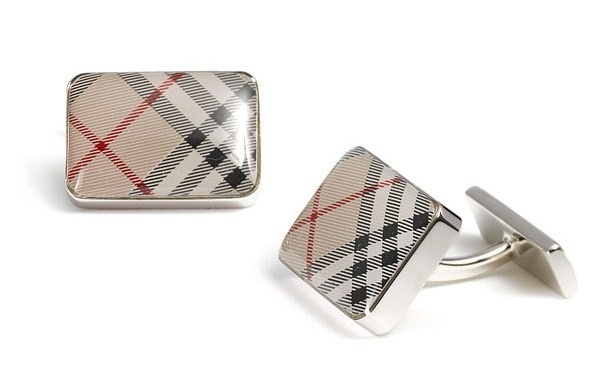 Add a touch of Burberry to your ensemble with these rectangular check cufflinks. Glossy enamel covers the rectangular brass-backed accessories. They’re available in the pictured “trench” colouring, as well as a darker “Brit check” version. The patterned cufflinks are for sale online at Nordstrom. This entry was posted in Cufflinks. Bookmark the permalink.